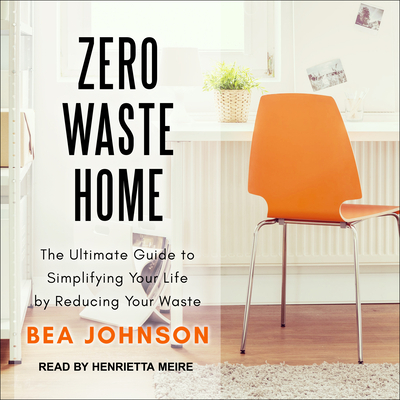 In Zero Waste Home, Bea Johnson shares the story of how she simplified her life by reducing her waste. Today, Bea, her husband, Scott, and their two young sons produce just one quart of garbage a year, and their overall quality of life has changed for the better: they now have more time together, they've cut their annual spending by a remarkable 40 percent, and they are healthier than they've ever been. This book shares essential how-to advice, secrets, and insights based on Bea's experience. She demystifies the process of going Zero Waste with hundreds of easy tips for sustainable living that even the busiest people can integrate: from making your own mustard, to packing kids' lunches without plastic, to canceling your junk mail, to enjoying the holidays without the guilt associated with overconsumption. Zero Waste Home is a stylish and relatable step-by-step guide that will give you the practical tools to help you improve your health, save money and time, and achieve a brighter future for your family-and the planet.